My Smallix is now entering serious development. Updates are posted once a week on facebook Hi Everyone, my name is Virgil One and I would love to share with you, MySmallix, a semi pet simulation criss-crossed with role playing elements. In My Smallix there exists 2 types of creatures, the smallix and ordinary livestock. The objective of the game is to bring balance back to the various forests which produce insufficient vegetation. You will use your 1st smallix creature to recruit livestock in the wild to get the livestock to perform tasks in the various forests. As you perform different tasks with your smallix and command the livestock, your smallix will grow and develop different features. Creature - lifecycle -- where you start Sooo....much...effort...to do so little..... Some smallix creature proto-types The game play perspective --- when it slowly comes together MySmallix does have a full story line but rather then share it here, it would be best for me to save that as a surprise for you. The story is actually in novel form and some parts are rough around the edges, however the core aspects have been fleshed out for us to develop the game around the story. Platform wise, MySmallix will be fully playable on your mobile phone, however it is equally designed to play on your laptop/pc's web browser. The game is served over a webpage for the phone and pc and lots of care is being put into the interactivity aspect. When will this project go into beta? Truth be told, I am unsure. As of the day of this post, there's 2 core mechanics that I am still fleshing out. To not set the wrong expectation, I don't want to share the detail of what those mechanics are suppose to do but I am still in the process of experimenting with them. I need to ensure there's enough game to play. So that factors in when I'll have some type of game for someone to beta test. Secondly the artwork for the various components of the game are not complete. Environment assets are being worked on, smallix and livestock creatures are being worked on and hopefully in 6 weeks character art can be further produced. The core characters in the story have been sketched & designed but a lot more work needs to go in for the vision that I have and so this impacts the release. Tell me more about pet characteristics I'll just come out and say it but there is no breeding in this game. This game will focus more around what your pet eats and leveraging its skills to grow and evolve. The abilities and skills attained from evolution will serve various purposes towards performing actions to restore the environment. Smallix creatures do develop to a point where they have full combat capabilities but this is not the core aspect of the game play. So defeating other creatures is one of the things you get to do but not the focus. Livestock will serve other functions which is still being fleshed out. The goal will be you taking a journey with this pet and you being responsible for developing its abilities which maybe functional or social. You also go on the journey of managing various livestock and other smallix creatures. Additional Info After answering a few questions, it has completely alluded me that I never made any mention to some of the social aspects included in MySmallix. I have always been a strong advocate of games that incorporate nurturing of communities and social activities within games. I don't want to oversell the features we plan to put in place, rather once it's fully functional and the beta hits, it will make more sense for you to see how the social and community aspects which we put into the game fit into everything else. I know this is a bland answer but it's moreso me ensuring that we don't oversell our ideas to you so that you walk into this with a fresh perspective. Rest assured since this game is online players will be able to interact with each other to some capacity. My job with my team is to ensure that we provide the platform where this interaction is fun and compelling with the proper safe guards. Also, I wanted to share some small thoughts about my approach towards the beta. The fact of the matter is, there are tons of games out there which you could choose from. The fact that you would want to give our game a shot considering there's thousands upon thousands of amazing games out there is of tremendous importance to us. Development has started and beta is nowhere in sight but our team is building the beta around the methodology that any achievement earned by a tester at any stage of the beta will not be lost or wiped but kept for the duration of the game. I've personally experienced beta's where accounts get reset to 0 and I hate it. As a developer now myself I won't waste your time. Helping me fix my game is an effort on your part. The fact that I would wipe out your progress whether bugs occur and cause oddities, is not a part of the principles of our team, everyone's time nowadays is valuable and we refuse to take your time for granted because we know we don't want our time taken for granted. With that said, the beta is going to be broken down into 6 phases where phase 6 will represent a true beta where we open things up more to the public. With each beta, different game play components will be introduced. These are not large aspects to the game play but they should add a new dimension to the game. The game does feature a story which is carved to the side but drives the entire game. You can play straight through without ever fully knowing any of the story, but we will release the story in comic form in a piece meal fashion. For the beta, the goal is to take some of the comic issues (which are about 29-30 pages) and condence them to about 3-4 pages in comic form. If you want to check it out you can, its short and sweet or you can not check it out at all. The story we have drives the game mechanics, the creature abilities and the tasks you must fulfill when you play so we had no choice but to flesh out the story. It turns out we loved the story so much and fell in love with the characters that we simply had to do a full blown comic. With all that said, it wouldn't be fair for me to not give you guys a sneak peak at our characters and what's in store, so here are some more spoilers: Character Roster Last thoughts Feel free to ask me any questions to your hearts content, I know I've left a lot out and I didn't want to ramble. I am the owner & developer of this game. ★ RPGs BeastEon Tumblr This is a development blog of a browser game made by a 2 man indie team. Everything posted here is not set in stone. We may revamp things, change them completely, or throw them out and forget if they don't fit the concept anymore. BeastEon is a virtual pet sim / virtual world browser game featuring strategy and RPG elements, infinite procedural explorable world, self-learning pets with AI engine, dynamic coloring of pet images, extensive lore and many more! Folk of Lore: Kindling Homepage / Facebook / Tumblr Folk of Lore is a browser based MMORPG currently in development. It will require no downloads, no software, and (best of all) will be completely free to play! Play with friends or strike out alone as you work to unravel the mysteries of Lore's unique history. Novilar Homepage / Facebook / Patreon / Twitter Novilar is a virtual pet RPG. Go on adventures and unlock the secrets of your new home alongside unique animal companions. ★ SIMs ClanHeart Homepage / Facebook / Tumblr / Twitter Clanheart is a strategy based virtual animal SIM. The user can form a clan of creatures, establish territory, and fight for additional territory on! Deearly Homepage / Discord Invite / IndieGoGo Campaign / Tumblr Deearly is a Deer Breeding SIM. Your deer exist in a magical world which opens up tons of opportunities they wouldn’t have normally. Don’t worry, though, the deer are still deer. They simply have ﻿sentience- they can’t use a cellphone, work a toaster, or spit fire. … Well, no guarantees on that last one! Wild Howlz DeviantArt Updates / Facebook Group " We have been saved ... but not in the way we intended. Several generations ago, the world came to an end with a new dawn bringing forth a world humanity had believed to be all myth and stories. The remains of the past are scattered across the globe and things are no longer what they seem. Wake up to discover this new world through the eyes of the wolves, a creature once believed to be an ally to humans. You must find a way to survive, to grow stronger, and to find the answers to the mysteries scattered across this once﻿ glorious kingdom." Wild Howlz is a game where you raise and grow a pack of wolves and learn how to survive, battle, and explore a vast world full of mystery, wonder, and monsters. The game concept began back in 2013 and has undergone a few changes since then. It went on a several month long hiatus, but with new eyes, new inspirations, and new motivations, the game is coming back and is in the works once again. We are only a two man team right now, so the work is a bit slow, but we want to get this done and present not only a visually appealing game, but one that provides challenge and intrigue with near endless possibilities. Wild Souls Homepage / Discord Invite Wild Souls is a fantasy wolf sim, where you're put in the paws of your very own wolf! Survive in the harsh and beautiful lands of Frekiheimr as you forge relationships, hunt, explore, and uphold the responsibilities of your rank in the pack.﻿ ★ Adoptables Nothing here just now. ★ Virtual Pet Sites Aethria Homepage / Discord Invite / Instagram / Facebook / Tumblr Enter the dream... Create virtual pets, dynamically grow mini pets and items, explore, chat, and more! DapperVolk (Currently in Closed Development) Homepage / DeviantArt / Instagram / Facebook / Tumblr / Twitter Dappervolk is an upcoming online virtual avatar and pet game with a painterly art style and RPG elements. DuelingPets Homepage Duelingpets is a virtual pet site where the object is to create your very own pets and monsters and do battle with them. The pets and monsters will be added eventually in another beta. Currently the site will be able to support art content, music content and video content. There will be a forum available that will allow users to subscribe to topics, moderators, and be able to chat with other users. Forums can be taken over by other users if the time that the owner is gone exceeds a specified threshold. Furvilla Homepage / Facebook / Tumblr / Twitter Meet the Furvilla villagers! 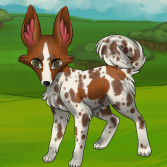 Create villagers, teach them skills, and immerse yourself in the towns of Furvilla! Mythaura Homepage / Facebook / Tumblr / Twitter A web-based browser game where you can own mythological beasts, breed them, battle them and more. Project: Petsite Homepage / Discord Invite / Twitter Project: Petsite is in development, open for player testing Jan 21st 2019, a virtual pet site that is fully mobile friendly! Saylua Homepage / Discord Invite / Facebook / Reddit / Tumblr / Twitter Saylua is an in development virtual pet game that takes place on tidally locked planet split into a light and a dark side. There will be different regions and creatures to discover on each of the sides. Seripets Homepage / Forums / Facebook / Twitter Welcome to Seripets, the all new virtual petsite just around the corner! With high quality art, we have tons of pets for you to choose from and endless plots for you to unlock! Start your adventure in the desert and proceed to find your way back to the village where you are sent off to battle the ferocious sand monster and find yourself in hospital where you meet the prince or princess... Tattered Weave Homepage / Facebook / Twitter The Tattered Weave is a social forum site where you explore a world riven by chaos, make friends with the elusive kith, play games to earn prizes, and craft. ★ Mobile Applications Nothing just now. ★ Games Which've Shut Down Kaylune Homepage / Discord (Invite) / Facebook / Tumblr / Twitter Kaylune is a virtual pet browser game that has been open since 2014; however, for a while, Kaylune's administrative team had put the site into a downtime up until July 2018 in order to make site updates and fixes to bring the users the best game experience possible! Sadly the game has been closed and is now up for sale via this thread. The Nyrin is really coming along! Check out a couple variations below with one sporting the new Siamese Points marking. Hope you like it as much as I do. Stay tuned as the Nyrin is going to be released soon! What Makes a Quest System Fun? What do you enjoy doing for quests and what makes them really grab you? Any examples of really fun quests (doesn't need to be pet site specific)? What don't you like to see or do for a quest system? I've played a lot of games with questing and really enjoyed it, but when I think about pet sites tend to think the generic fetch item quests, which can be fun, but in the past had normally meant using the user shop search to find the cheapest one, buying it and turning it in. So no real game play or exploration going on. It's really just a means to an end, which is the reward. In general quests I do like tend to be part of the game play experience and encourage exploration of the world. For instance with Skyrim there are a lot of quests that are about going into locations and fighting. So exploring the world, sometimes leading to cool discoveries or rewards outside the actual quest reward. Some of them at the core are pretty much fetch item quests, but it's a specific item at a specific location, so you can't really bypass it by fast traveling to town and just purchasing it, you have to go through the location and find it. Anyone else have thoughts on quests and likes or dislikes with them? So I really want to start work on a realistic animal sim browser game, but I have no idea where to start, how to find a team. I'm totally lost actually, what software is best to make a browser game? Should I kick-start, is funding actually needed yet or not? How do I get a team? I have experience with IT, art and games design. I've done all in college, with games design being a level 3 and the others being level 2s but I'm still at a loss.. can anyone give me any tips? Would anyone be interested in helping me? I can't pay right now so it would be volunteer for the time being. Should an Alpha version be released so players can give feedback while a game is developing (assuming you have something that is playable, stable, and secure), or is it better to wait until something is more polished? I've seen so many gamers complain and give bad reviews about games in an alpha or beta state as if they are expecting it to be finished and polished, but I can also see the benefit of having community feedback to give development direction. I'm wondering what all your thoughts are on this. What features do you wish were more common/developed in pet games? what is this? So I see a lot of projects fail or go miserably wrong because not enough attention was paid during the planning stages to really nail down a plan of action surrounding the features and functionality of the project. This is a guide to help remedy those problems, and can really be applied anytime during the project however the sooner the better in most cases. This is not strictly a programming/development guide either, you can apply the concepts elsewhere but for the purpose of not being super vague I'm orienting this guide to feature development. Also forgive me if you are not familiar with Pokemon, I use a lot of Pokemon related examples to illustrate the concepts I cover. minimum viable product So it's really tempting when starting a project to sit and brainstorm and daydream for hours about all of the fantastic features your project will have and all the people who love it. I do it too, and while there's nothing wrong with that when you get down to seriously planning a project you intend to see through it's just impossible to start there. Write your ideas down, make a list of all the features of your dream and then toss that document aside for later. Pick one feature. Now when I say one, I don't mean the login/logout or anything that would more or less be considered the framework of your project. What you need to do is identify your minimum viable product. That means you need to figure out how to make your project the smallest it can be, and still be at it's core a fun game. It doesn't sound intuitive but it is important. So you should identify the base feature of your game. What is the ultimate goal? Why are people logging on to play? Is that feature fun or rewarding, without any other embellishments? Not everyone would but I consider Pokemon to essentially be a virtual-pet game, it's just on a different platform. If you think about all the features Pokemon offers in their games it can be mind boggling, but at it's core the main feature and main draw for the game is surprisingly simple and even in their slogan. gotta catch 'em all. Pokemon is a game based on collecting, all the other features are more or less secondary to this main feature. You want to complete your Pokedex, or at least catch your favorites and that's what they rely on to be the main thing that's fun in the game. That's what I mean when I say identify your main feature. It does not need to be unique, and it does not need to be revolutionary, it just needs to be a solid draw. Whether that feature is community based, collectable based, creation based(breeding or building sites), etc. it just needs to be identified what that feature is. If you think you can make a successful game or project revolving around that main feature then fantastic, hit the ground running and save the dreams for later down the road. Most people will not want to stop there however, and that's okay. Once you have that solid main feature you are going to want to select one or two other features that compliment that main feature very well. That does not mean battling and breeding should be those two features. If you're doing a collection based site maybe create multiple ways to collect pets(different types of pokeballs?) or make certain pets only collectable through certain methods(only obtainable if you trade with another player). If your site is heavily community based and your main feature is the forum, a live chat would be a good compliment. These other features should maintain the same goal as your main feature, and should seek to improve that main feature in some way. Be careful whenever you add a new feature that you are making that feature as small as it could be to start with. As you go through this process create a new list of your MVP feature list, and at the end compare it your original dream feature list. If even 50% of those dream features are on your MVP list then you are probably still being too ambitious. I can't stress enough how important it is to really cut out as much as you can and start small. Creating a game or website is a very large and daunting process and it is so much better to get something successfully out there in a few months than it is to spend 3 years on a gargantuan project and still not have a launch date. It's also a lot easier to learn from the mistakes you make the first time around when the project is smaller, and it's more rewarding because you're more likely to cross the finish line. understanding scope In the project brainstorming phase of projects I see a lot of people being extremely vague about features that they want but haven't really thought through. However it's crucial when you're brainstorming features to be very specific about what that feature is and is not. Think of a feature scope as a list of rules to make the feature work or not work as intended. Imagine explaining how to collect Pokemon to someone who knows nothing about the game, but being specific enough that they could recreate the game. A vague statement will produce a vague or incorrect result. Bad Statement: "You throw a pokeball at the pokemon to catch it." Bad Result: A game where every time the pokeball is thrown, the pokemon is caught. Better Statement: "You throw a pokeball at the pokemon to catch it. The higher the level of the pokemon, the lower the chance to catch it." Better Result: A game where the level of the pokemon determines whether or not throwing a pokeball results in a successful catch. The idea is to then become more and more specific, so if you were to explain this to someone they would understand that if they knock the pokemon out then they can't catch it, or different pokeball types work better or worse for different pokemon, or that status effects also effect the success rate of a pokeball. Define all the rules of your feature, and then try to imagine someone attempting to cheat. Pokeballs don't work when you throw them at a pokemon owned by another trainer. If you can define all the rules of your features, that will go a long way to help whoever will have to program the functionality, but also keep communication clear about how something is expected to work and whether or not a change fits within the current scope or not. If you are changing or adding to the scope during project development, that's something called scope creep. It is not good, not fun, and usually leads to both angry project managers and angry developers. Once development starts, you shouldn't mess with the scope except where development needs clarification. Additionally, if you have changes you want to make then run it by the developer first to make sure they are comfortable with changing the scope or to find out what kind of impact that change will have on cost and deadlines. Finally, make sure the feature scope with all the rules fleshed out still fits the goal of the feature. If the rules of pokeball throwing made it extremely difficult to catch any pokemon, maybe there's a rule that shouldn't be there because it shouldn't become difficult to play the game. Stating the goal of the features(be more specific than 'be fun') can also help a developer or even yourself 6 months from when you wrote the scope have a clear understanding of where you intend to go with it and what you were thinking when you developed the scope. feature value Did you know features have value? There are ways to calculate hard and monetary values for features, but that could be a guide all by itself so I'm not going to get into that. But when you are generating feature ideas to add to a project or to an already launched game you should always be considering the value that features bring to the site. If it's a small feature but it's going to take a lot of programming work and your users could more or less live without then it may not be worth it to bring that feature in. A mantra of mine with browser based games is that your features for the most part need to be harder to consume than create. That means if it takes you 10 hours to create a quest line that will occupy users for 10 minutes, that would be a bad consume to create ratio. You want to flip that ratio as much as you can so that your users remain entertained by your content and features, giving you time to develop new ones without people getting bored or frustrated. Many people turn to random generation to get the ratio in their favor and if you're clever enough that can be a fantastic way to generate fresh content but there are other ways as well. If you can make small changes to a feature to make it last longer without becoming frustrating for the users, you'll find yourself with a lot more room to develop and come up with ideas. For example if the questline you created required users wait until nighttime to do a certain task, or require that they do some investigation to figure out the answer to a lore riddle then you can expand that questline time from 10 minutes to potentially 12 hours without overburdening your users with meaningless and boring tasks. If a feature you create can do any of the following, it's bringing in value. Monetization Bring in new users Keep users occupied for longer than it took to create Generates excitement or community organization If a feature does any of the following, you're actually losing value. Drives away current users Conflicts with the general mission Causes other features to become useless or undesirable On rare occasions it's okay to create a feature that hits a point on that second list as long as it's being made up for in a clear way on the first list. Also, do not feel bad about removing or heavily modifying a feature you realize is having a negative impact on your site or does not fit your goals. conclusion If you can make your project small, focussed and have a fantastic understanding of your features you'll be a lot better off when you hit the development level and more likely to avoid some common pitfalls. Especially if you're working on your first browser game site I highly recommend making it as small as possible so you'll see more progress, be less likely to give up and you'll learn a lot along the way to make your next project even better. If anyone has any recommendations, comments or feedback please share. I'd love to expand and update where necessary so it's truly helpful to people.